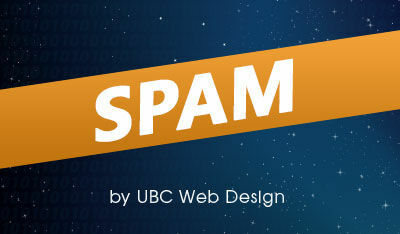 We’ve all heard the term, but how many of us actually know what is defined as SPAM? SPAM is unsolicited messages sent through in an electronic format (SMS or email), with no way for you to stop receiving it. Basically, it’s digital Junk Mail. 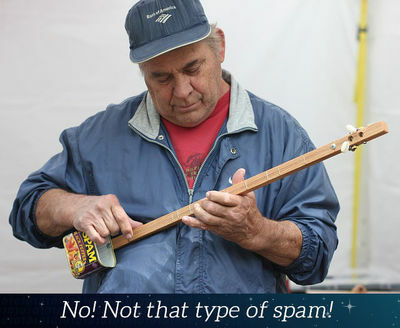 Unfortunately in today’s world, a certain amount of SPAM is unavoidable. If you find a way to stop ALL SPAM, someone would probably pay you a lot of money to teach them how. Never click on links in a SPAM email. Clicking on a link in one of these emails is an easy way to get your computer infected with Spyware and other viruses, which can lead to greater problems. When in doubt – Don’t click! Replying to SPAM messages is another big no no. Sending a reply to a SPAM message is basically like holding up a big sign that says “Real email account here. Feel free to send more SPAM”. It will verify that the email account is in fact real and monitored and encourage the spammers to bombard you with more junk. Don’t forward chain emails. We’ve all seen them. These are the emails that tell a heart wrenching story and then encourage you to forward the message to 10 of your friends and “something good will happen to you in the next 24 hours”. Again, doing this will verify your email address and also give the spammers access to a nice long list of real email accounts. Turn off read receipts and automatically accepting meeting invites. This is another trick spammers use to verify your email address. They will request a read receipt or they will send you a meeting request. Just say no to all of these that come from an address you don’t recognise, and you’ll be right. Just err on the side of caution and delete anything you think could be SPAM and you’ll be fine. The governing body in Australia for all things SPAM related is the Australian Communications and Media Authority (ACMA), and if you are worried that you might be in violation of the SPAM act, or you want to report someone for spamming, I would recommend contacting them. So now that you’ve got an idea of what SPAM is and how to minimise its impact on your day to day work, it’s time to look at the flip side of the coin. How can you tell if you’re guilty of spamming? As a guide, you are allowed to have a mailing list of people who have signed up to advertising / updates, and send out messages as often as you want. As long as you have an “Unsubscribe” option within any emails / SMS messages you send out, you are fine. An example of spamming would be, getting people’s details from the internet, or anywhere else and messaging them without permission to offer your goods / services. Penalties for being caught spamming can range from fines up to $1.7million per day to criminal convictions – As you can see, it is a big deal. SPAM can become the bane of your existence if you let it, but managed properly it is just a slight annoyance. Try some of these tips and let us know if you see a reduction in the amount of SPAM you receive!